Laundry is one of those things that for some reason takes way longer and costs way more than you’d think it should. Especially if you have a big family! 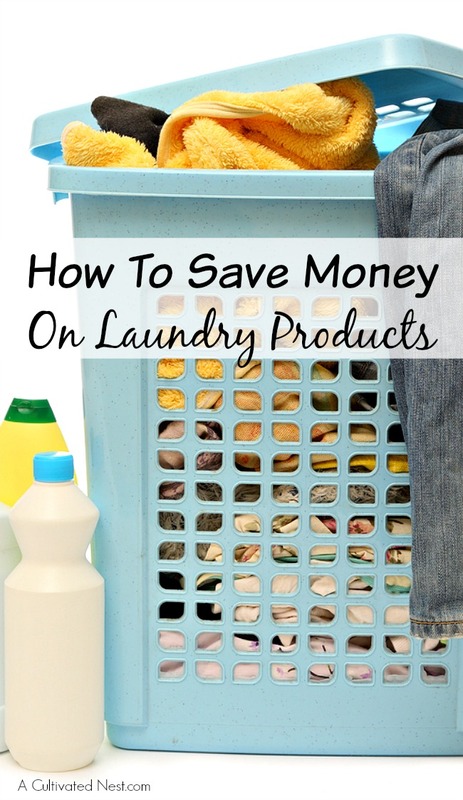 If you’re doing a load of laundry practically every day (or more) you’re probably spending more on laundry products than you would like to. And the costs double if you’re using all-natural products! 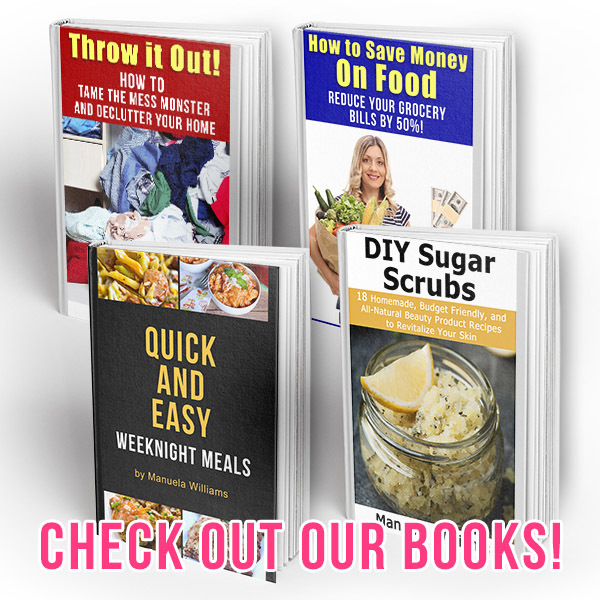 But there are ways to make safe, effective DIY laundry products at home for only a fraction of the cost of their commercial version. 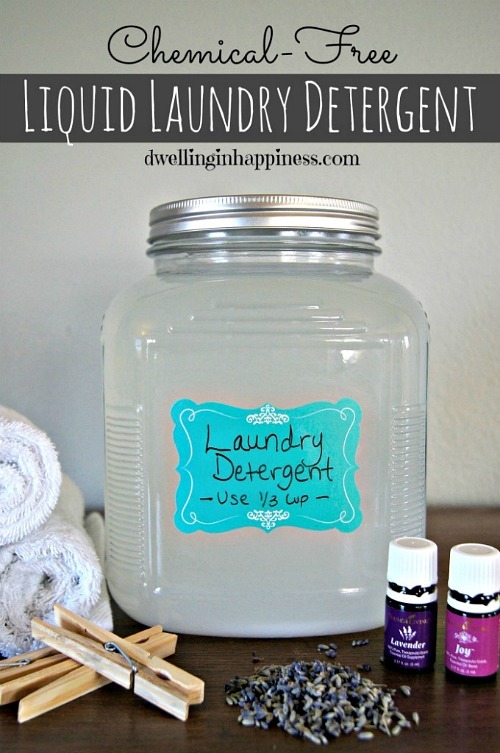 Skip the store and instead check out these 10 Frugal DIY Laundry Products! 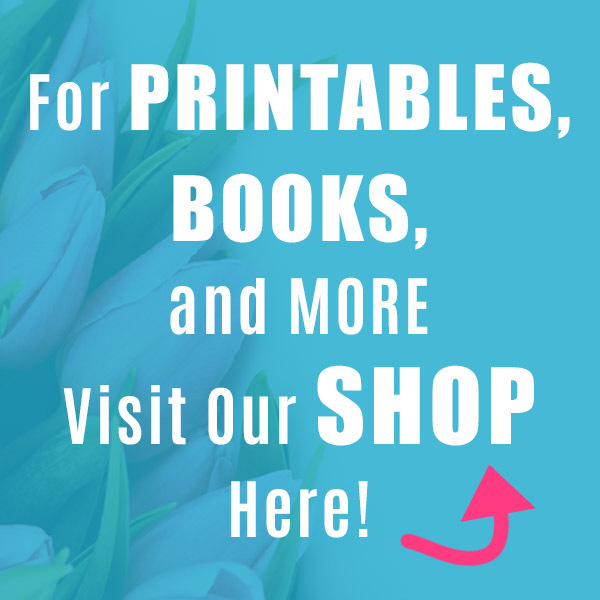 Virtually any laundry product you can buy, you can make! The list below includes detergents, a stain remover, dryer sheets, a bleach alternative, and more! Of course, it never hurts to have a commercial version on hand as a backup. Sometimes you just won’t feel like whipping up a new batch of your laundry products. You should also always test a new DIY laundry product recipe on a small load first, to make sure it works well with your clothes/your machine. 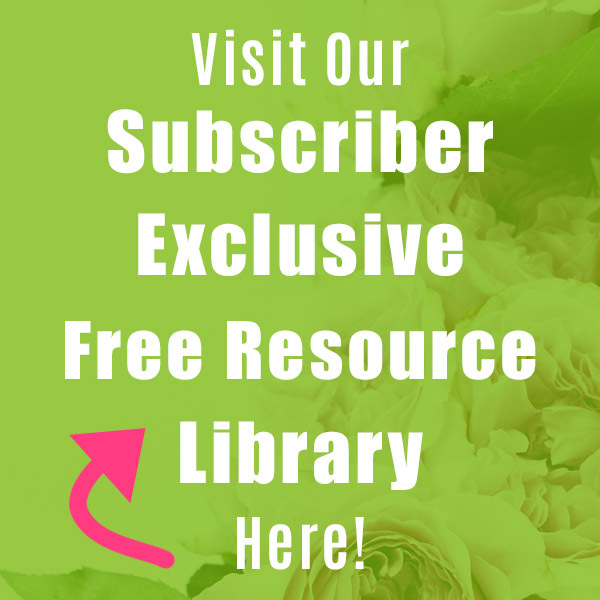 Remember, natural products tend to not be as strong as chemically based commercial products. So you may need to change your washer’s settings, wash smaller amounts of clothes at a time, use more of the product, or make other changes until you get the results you want. If you like to work out in the garden, or if you have kids, you need this homemade laundry stain remover! Head on over to Mom4Real for the instructions! Our homemade dryer sheets are all-natural, effective, and easy to make! If any one thing uses up most of my laundry budget, it’s the detergent. Cut back on your detergent costs and make Dwelling in Happiness’ chemical free liquid laundry detergent (that’s HE safe)! You’ve heard of bath bombs- now try laundry detergent bombs! 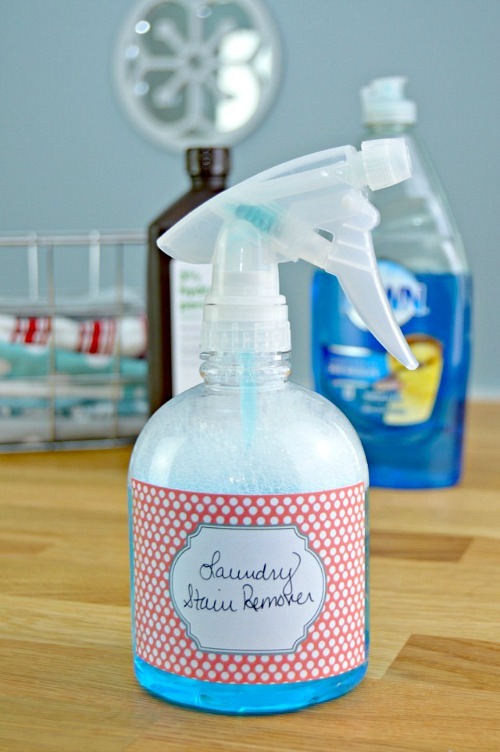 This is one of my favorite DIY laundry products on this list because it’s so clever! It’s like those laundry detergent pods, but safer. 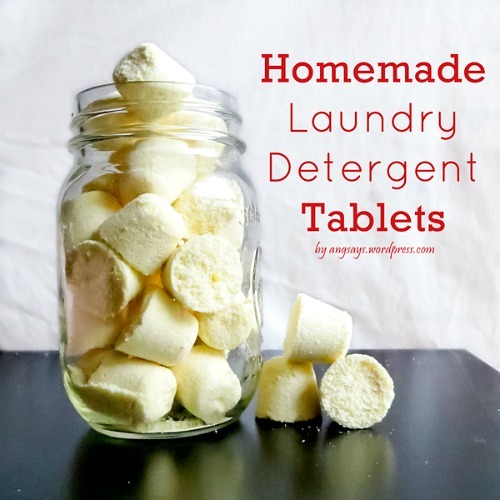 Check out Angela Says’ tutorial on how to make these homemade laundry detergent tablets! Just because your load of laundry is all-natural doesn’t mean it can’t smell nice, too. 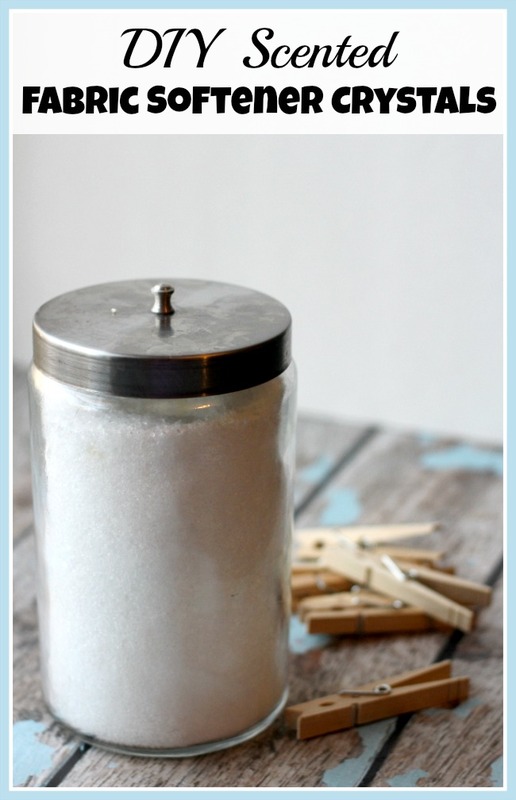 Check out our tutorial on how to make DIY scented fabric softener crystals! Bleach is powerful, but also dangerous. 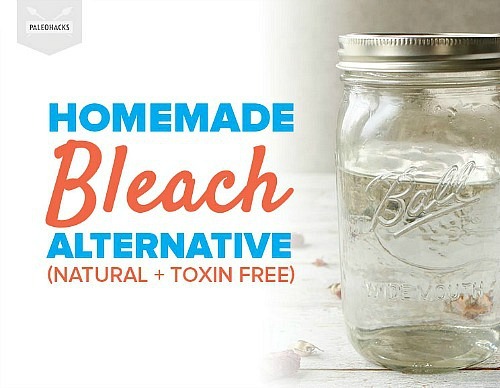 Get the same whitening power of bleach without all the toxins with Paleo Hacks’ homemade bleach alternative! Prefer powder laundry detergent? 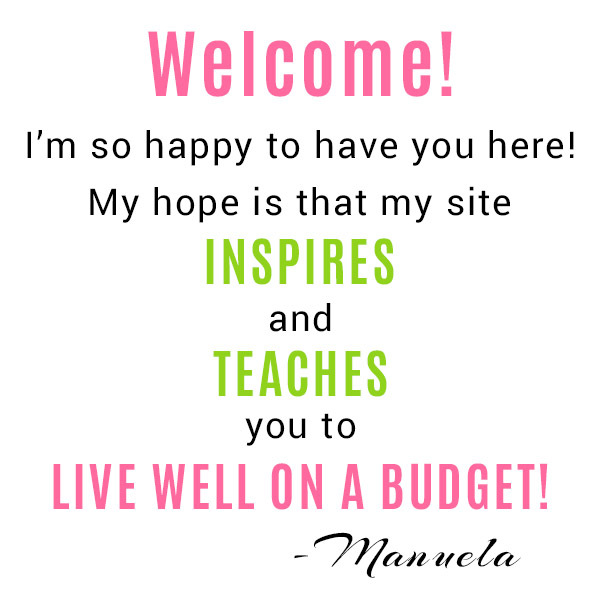 There’s a DIY for that, too! 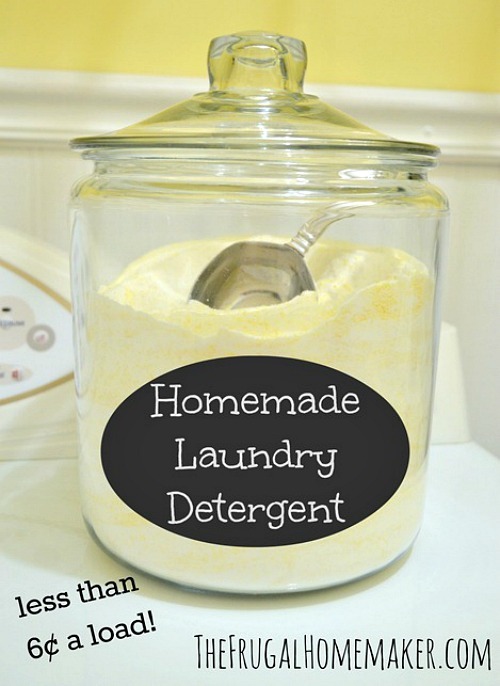 Head on over to The Frugal Homemaker to find out how to make your own homemade laundry detergent powder! Wool dryer balls are a wonderful alternative to chemical-laden dryer sheets. Plus, they’re reusable for hundreds of loads! Here’s our tutorial on how to make DIY wool dryer balls! There’s no need to pour chemicals on your laundry just to make it soft. 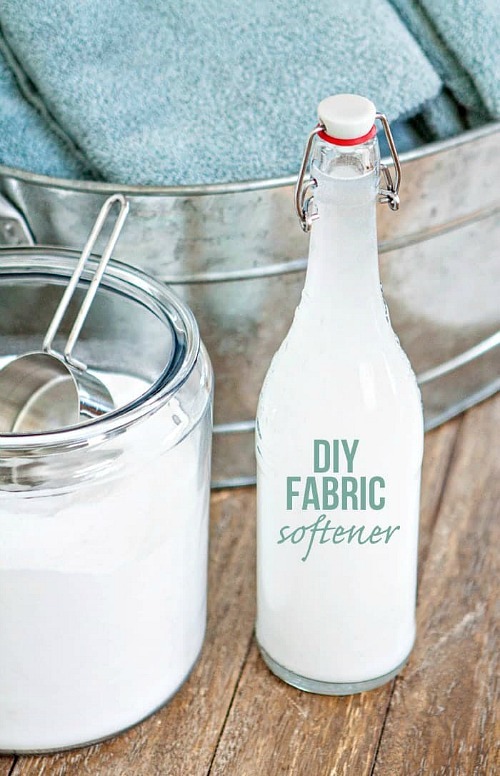 Check out Good Life Eats’ tutorial on how to make DIY fabric softener! If your family does a lot of ironing, then you’re probably spending a lot on dangerous spray starch. Or maybe you try to avoid spray starch and just use plain water instead, but feel that it’s not effective enough. 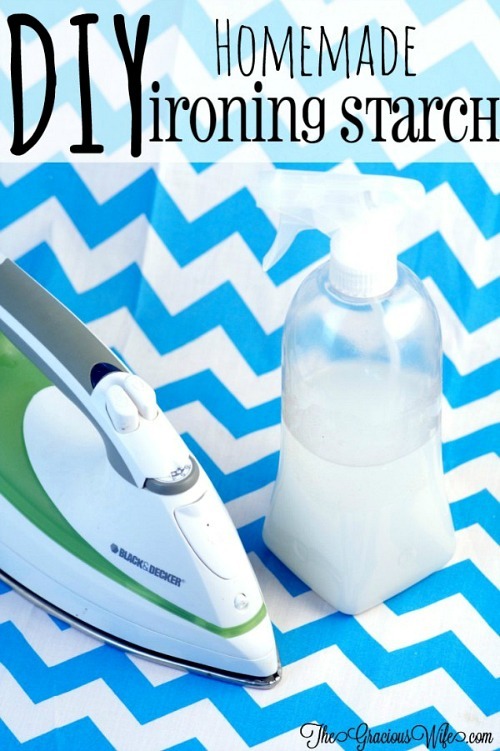 Get all the benefits of commercial spray starch with none of the dangerous with The Gracious Wife’s homemade ironing starch! 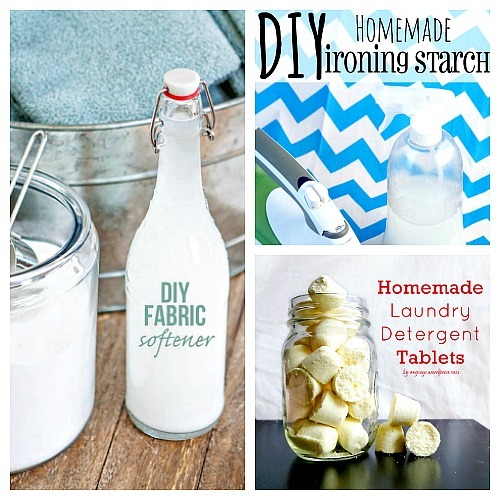 Which of these DIY laundry products do you want to make first?